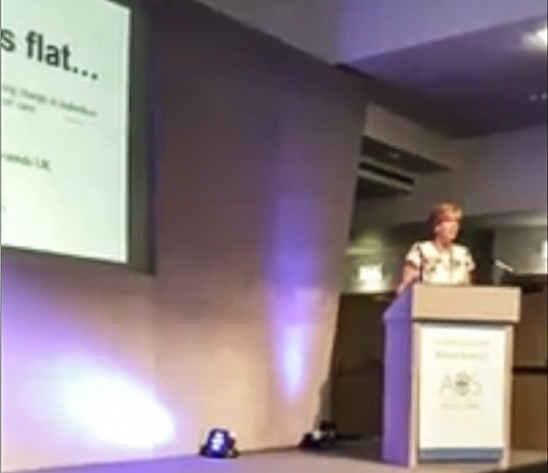 Flat Friends founder and chair Gilly Cant attended The Association of Breast Surgery annual conference in Manchester this week to talk about the need for patient choice when it comes to breast surgery, and to co-present the results of a recent study that looked at this issue from the perspective of patients, surgeons and breast care nurses. This is an issue we unfortunately find a lot and it needs to change! I had breast cancer in three areas of one breast. Needed mastectomy requested bilateral mastectomy meet with unsympathetic lead surgeon. I insisted if they offered reconstruction why not meet my request. Eventually agreed but the way I was treated pre and post surgery was awful. Luckily no further treatment needed. I had worked in Cancer Support and knew what I was asking for. I am three years down the road and have never regretted my decision. I would love to be in touch of like minded ladies.